3 Bedroom Semi Detached Bungalow For Sale in Cheltenham for Offers in the region of £295,000. The front door is set to the side of the property for a private entrance. 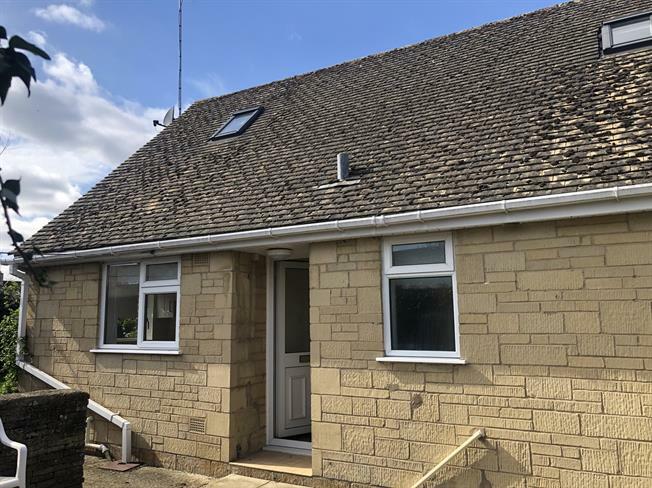 The recently refurbished fitted kitchen with Cooke and Lewis cooker and hob, has aspects to side and rear gardens, next to the bright reception room offering room for living and dining areas, with door opening into the rear garden. The versatile accommodation offers a master bedroom with fitted wardrobes, a second bedroom/reception room and a recently refurbished wet room with Mira shower. The first floor comprises a further bedroom with spacious landing, airing cupboard and plentiful eaves storage. Gas central heating is served by a recently fitted Worcester boiler. Further benefits include a garage and parking to the rear and timber shed.